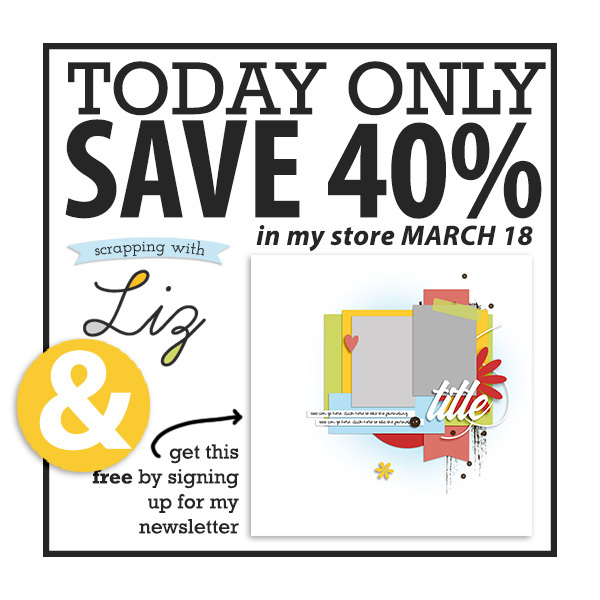 Scrapping with Liz: 40% OFF ENTIRE STORE - TODAY ONLY! TODAY ONLY my ENTIRE store is 40% OFF as part of the Lilypad's Love Our Designers promotion. And if you aren't already signed up for my newsletter you'll want to do that! I have a brand new FREE template for all newsletter subscribers! Check out the Love Our Designers forum. Share a page you've made with my templates (in my special thread!). I'de love to see what you all create.